What things come to your mind when you hear High Networth Individual (HNI)? Most likely it will be a fleet or swanky cars, plush mansions, exotic foreign vacations, ivy league education, etc. Right? That's all true! When you have money living a privileged life is a given. But is that all? Not really. Becoming rich is difficult and staying rich is twice as difficult. 1 What Is The Meaning Of High Networth Individual? What Is The Meaning Of High Networth Individual? There are many people who have money but what yardstick gives you the coveted title of High Networth Individual (HNI)? The number might be different from one company to other but, in India, those who have more than 2 crores investible capital are considered HNI or HNWI. The meaning of net worth is the amount by which your assets exceed your liabilities. By that definition of net worth, one can guess that HNIs are those whose assets exceed the liabilities by a big, big margin. In the same line, those how have humongous asset margin are called ultra high networth individuals. To put it in simple words, they are very rich. In the financial sector, this categorisation is important as high net worth individuals have a separately managed investment accounts as HNIs clients usually demand extremely personalised services for banking and investment services. Even in the IPO application, HNIs have to apply in a separate category dedicated to them. As HNIs have a dual responsibility for wealth preservation and appreciation, many investors are not comfortable with full exposure to equity funds as it poses a high risk. Hence, they can look at diversifying their portfolio in a way that it is less risky and also takes advantage of market movements. A combination of equity bluechip funds and debt funds can do the trick. A balanced fund is a good choice for such investors. Balanced funds invest a part in equity and some part in debt. The volatile equity part keeps moving up and down as per the market situation while the debt part is comparatively consistent in returns. The overall return is defined by the average return on equity part and debt part. Though tax saving is one of the objectives of wealth management, HNIs wouldn't find much respite in deductions allowed under section 80C of Income Tax Act. However, it is important to utilise the tax-saving provisions to the full with the investment instruments like Public Provident Fund (PPF), National Pension Scheme (NPS), Equity Linked Saving Scheme (ELSS), etc. ELSS stands out amongst all the tax-saving investment options as it is a form of an equity mutual fund with the lock-in period of 3 years. It gives better returns than other options like PPF and NPS. PPF account can now be opened in any private and government bank. The maximum amount that can be invested in PPF in a year is Rs 1,50,000 while the lowest is 500. Investors have to invest at least 500 every year in the account. PPF has a tenure of 15 years and also a lock-in period. It's a small window for HNIs but can be utilised for tax purposes. Government and corporate bonds play a vital role in wealth management. The bonds offered by the government are risk-free as the government usually doesn't default on the payment. On the other hand, corporate bonds are bonds offered by big firms with solid business models. There is a little risk in corporate bonds in the event the company goes bankrupt. But more or less, bonds are almost risk-free. HNIs love real estate. It's an immovable asset which is very safe and gives moderately good returns. However, for the last few years, the sector has only disappointed investors. Most of the market pundits call it an overvalued asset class, which to some extent is true. At this point, the market is not showing any appreciable trend in this sector. Additionally, the real estate sector is ridden with many controversies, corruption, and malpractices. In the recent times, the government has also started tightening screws on the real estate sector as it is the hub of money laundering activities. However, the principal reason for the widespread skepticism in the sector is the low economic growth and the anticipation of lower future growth. However, the government's focused view of economic growth and the real estate sector has the important role to play in it. So one can hope that the sector will bounce back as the government has introduced entities like RERA which will oversee the fair dealing in the real estate sector. Furthermore, various initiatives like smart cities will give enough opportunities to investors in the sector. But still, investors should tread cautiously while investing in real estate at this point. Direct equity investment is one of the smartest and the most dynamic forms of investment. It has the potential to give uncapped growth. However, in equity investment, there's high risk. Furthermore, direct equity investment is a time-consuming process. One has to spend a lot of time in research and analysis of the potential stocks and have to run them through various checks like identifying the valuation of the company and determining its growth potential and whatnot. That's not all, its time consuming and also requires certain skills to excel in equity. Needless to say HNIs and ultra high net worth individuals wouldn't have the time and necessary skill to benefit from it. But they can participate in equity with the help of services like portfolio management services or stock advisory firms where their role is limited only to bring the capital. Nivezas PRS Service- Niveza is a SEBI registered equity research firm, p360 (Personalised Research Service) is our most popular service among HNIs. 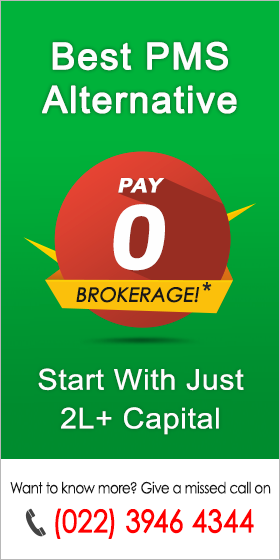 We are the first firm in India which offers zero brokerage and free dedicated dealer for p360 clients. Most brokerage firms charge .5% for positional trades and it can cost 2-3% of capital even for low turnover. Dedicated dealer takes care of trades so busy individuals like HNI don't have to do anything. How to categorise HNIs? If a person has a certain amount of money he/she is HNI, isn't it? That might sound right but it will not give an analytical view of HNIs. If we are looking at HNIs from the prism of money management it is important to understand their source of income. It will be extremely crucial in understanding what kind of services the person is seeking. For example, if a person has earned his/her wealth by working in a high paying job, the services and the approach he/she will need will be entirely different from the one who has inherited a big fortune. Hence, classification of HNI is an important exercise. As the number of billionaires in India is increasing, and these billionaires are coming from diverse backgrounds, we have to simplify and keep them into two broad categories: Self-Made HNIs & Inherited HNIs. Self-Made HNIs: This category includes people who have come from all walks of life and have made their fortune through big salaries, bonuses, esops and stock options. Those who have started their businesses and enterprises on their own and have created a big wealth. Inherited Rich: This is essentially inherited money and comprises people who have inherited wealth or businesses. Usually, HNIs display a highly confused attitude towards investment. It's not that they are apathetic towards it, but as they have plenty of options available, there is a possibility that their investment portfolio is little messy. Why is it so? Well, one advisory approaches them with an "excellent investment plan" so they take it. A few days later another investment planner offers them a better plan they take that too. In this way, the confused HNIs (the one who doesnt have a plan) keep lapping up every plan that is dished out to them by their investment planners. As all the HNIs are spoilt for choice, all they need is good wealth management services that will streamline their investment strategy. The most crucial factor that most of the investment advisor miss is that capital appreciation is the second priority for HNIs. This may sound a little odd but there is a reason HNIs seek a conservative investment plan. People with big wealth tend to take less risk simply because, for them, the downside is quite steep. Another reason is they have high monthly and recurring financial obligations which depend on big capital and high liquidity. As their risk appetite is on the lower side, it better for them to deploy a big portion of their capital in fixed income assets like fixed deposits, treasury bonds, government and corporate bonds, etc. Equity exposure is important but there, too, conservative route is opted by the HNIs. As a major portion of the capital is parked in fixed income assets, they bring a small (Let's say 20%) of their capital in the equity market. But they don't go for daredevil investment opportunities by investing in small-cap and midcap segments, they focus only on bluechip stocks which have a high dividend yield and strong fundamentals. In a way, it would be safe to say, HNIs are highly risk averse in their investment. Most of the HNIs have the intelligence to manage their own wealth. However, the question is not about whether they can or cannot but the bigger question is whether they should. Most of the people are skeptical of hiring an unknown person to manage their wealth. Some HNIs look at it as a challenge for them seeing their wealth grow by their own efforts gives them an intellectual kick. On the other hand, some people are just out in the pursuit of knowledge which is accompanied by the joy of learning. For them, exploring new avenues of investment and allocating funds becomes a game of excitement. When the right people guide your wealth in the right direction, there is no limit to what you can achieve. The biggest risk in life for people who run fast is that of running fast in the wrong direction. Hence, for HNIs it becomes twice as important to keep their investments in checks than any retail investors. There is immense business potential in the wealth management sector. However, the sector is facing certain challenges. To conceptualize a winning strategy that will meet all the requirement of the clients is one of them. Here are some of the glaring challenges the sector is facing. The wealth management services are general extremely personalized in nature. They have to take stock of all the financial needs of the client and have to design an allocation plan accordingly. However, while dealing with HNIs, the level of personalisation needs to be elevated to a different level. All the financial plans have to be customised to suit their requirements. The generic financial service that is given to other retail investors doesn't work. The next level of the personalized service is providing a wealth manager or a personal relationship manager to all the clients. The usual drill of call centers and customer service doesn't work in wealth management. Hence the wealth management firms have to invest a lot in nurturing a bench of wealth managers who can take care of their clients on the one-on-one basis. One of the biggest challenges of the wealth management industry is that it has to deal with the clients who are a little indifferent towards managing their wealth. Indeed if they are hiring services of a firm to manage their wealth they should get the best and the most personalised service, however, some valuable inputs from clients are always welcome. But that doesn't usually happen and the onus of managing the money of HNIs comes solely on the wealth manager. It would the unfair to generalise the needs of the HNIs as every high net-worth individual has different needs when it comes to managing his/her wealth. But one thing that all HNIs have in common is that they need proper nurturing for their capital. Whether its growth or capital preservation both require certain skills to get desired results. Therefore to get the best of whatever they are seeking they have to get the professional help. Getting an expert on board will not only streamline their work but will bring better and more rewarding results. So the best foot forward for HNIs in India is to employ professional services for all their investment needs.